Jackson began his career with junior side Shettleston in his native Glasgow. 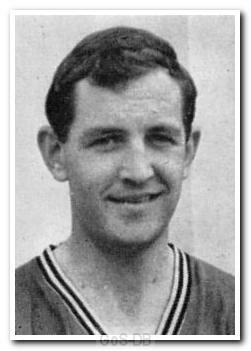 He moved to Birmingham City for a fee of £2,000 in 1958, and made his debut in November of that year. Despite then scoring six goals in his next five appearances he lost his place and a little over a year later moved on to Argyle, having not played again for the Midlands club. Jackson spent just over four years at Home Park, mainly playing as a centre-forward or inside-right. He made regular appearances for the first team, without ever making the position his own, despite a fair goalscoring record. A broken leg in January 1963 ended his penultimate season as a Pilgrim, and although he made his comeback the following August, he could not match his earlier form. After leaving Argyle he played for Weymouth Town for six seasons.